The primary objectives of this project are to experimentally explore the energetics, dynamics, and potential energy surfaces of elementary reactions of the simplest silicon-bearing diatomic radical, silylidyne (SiH), with prototype hydrocarbon molecules. The proposed studies explore the formation of small organosilicon molecules under single collision conditions as provided in crossed molecular beam experiments. To achieve these objectives, we investigate the energy-dependent chemical reaction dynamics of silylidyne radicals under single collision conditions in an ultra-clean crossed molecular beam machine. This setup incorporates a universal, rotatable angular resolved time-of-flight mass spectrometric detector with hard and soft electron impact ionization as well as laser induced fluorescence (LIF) detection.By conducting state-of-the-art crossed molecular beam experiments and combining these results with ab initio and quasi classical trajectory (QCT) calculations, we will extract the chemical dynamics, reaction mechanisms, products, intermediates, energetics, branching ratios, and enthalpies of formation of small organosilicon molecules over a broad range of collision energies from 2 to 45 kJmol-1. Besides the basic scientific interest from the physical chemistry community in unraveling the chemical dynamics of hitherto poorly explored silylidyne radical (SiH) reactions and comparing them to those of the isoelectronic methylidyne radical (CH), the proposed studies address fundamental questions of interest to the astrochemistry and physical-organic chemistry communities. 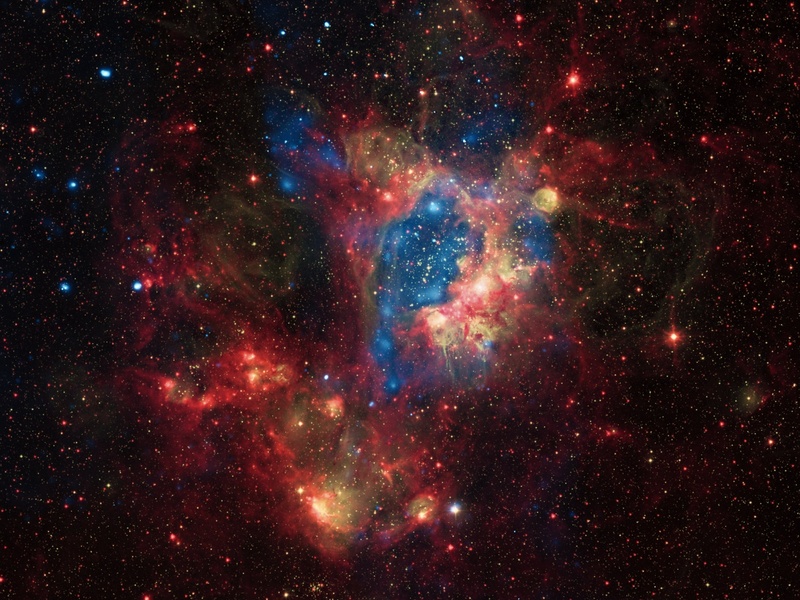 This leads to a detailed understanding of the formation and role of small organosilicon molecules in the interstellar medium (astrochemistry) and advances insights into chemical bonding and unusual (cyclic) structures incorporating a ‘heavy’ main group element (silicon) (physical organic chemistry). 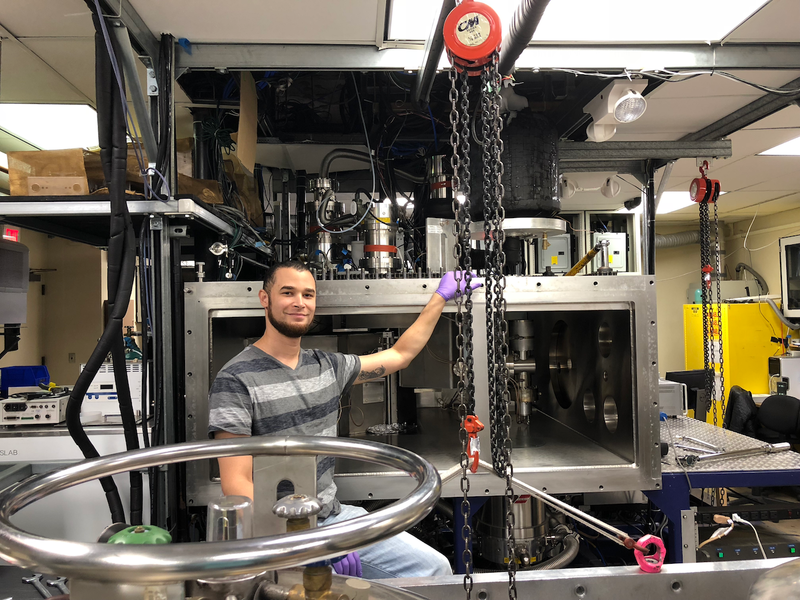 First, we commissioned and operated a hydrocarbon-free crossed beam machine with ultra-low background detection schemes incorporating a novel, pulsed supersonic beam source of ground state silylidyne radicals (SiH(X2Π)) generated via photolysis of helium-seeded disilane (Si2H6). The radical beam was exploited to untangle the previously elusive energetics and dynamics of silylidyne radical reactions with a homologues series of alkynes acetylene (C2H2), methylacetylene (CH3CCH), and dimethylacetylene (CH3CCCH3). The detection of 1-silacycloprop-2-enylidene (SiC2H2; (1)), 2-methyl-1-silacycloprop-2-enylidene (SiC2HCH3; (2)), and 2,3-dimethyl-1-silacycloprop-2-enylidene (SiC2(CH3)2; (3)) manifested the formation of three representatives of the hitherto obscure class of partially aromatic organosilicon molecules: silacyclopropenylidenes. In all systems, the silylidyne radical added without entrance barrier to the carbon-carbon triple bond yielding eventually cyclic collision complexes (indirect scattering dynamics). The latter decompose via loose exit transition states in overall exoergic reactions of up to 30 kJ mol-1 via hydrogen emission from the silylidyne moiety to silacyclopropenylidene molecules (1)-(3). Crossed beam reactions of silylidyne with allene (H2CCCH2) and 1,3-butadiene (H2CCHCHCH2) - structural isomers of methylacetylene and of dimethylacetylene - carrying cummulenic and conjugated carbon-carbon double bonds, respectively, revealed distinct reaction dynamics leading to the formation of 2-methyl-1-silacycloprop-2-enyidene (SiC2HCH3; (2)) and 1-silacyclopenta-2,4-diene (SiC4H6; (4)), respectively. The exploitation of D4-allene (D2CCCD2) provided evidence of two discrete reaction mechanisms involving atomic hydrogen and deuterium loss pathways. Second, we explored in crossed molecular beam reactions of silylidyne radicals with molecular oxygen (O2) and of electronically excited silicon atoms (Si(1D)) with allene (H2CCCH2) and methylacetylene (CH3CCH) the formation of key building blocks of interstellar silicates and of silicon carbide nanoparticles, respectively. 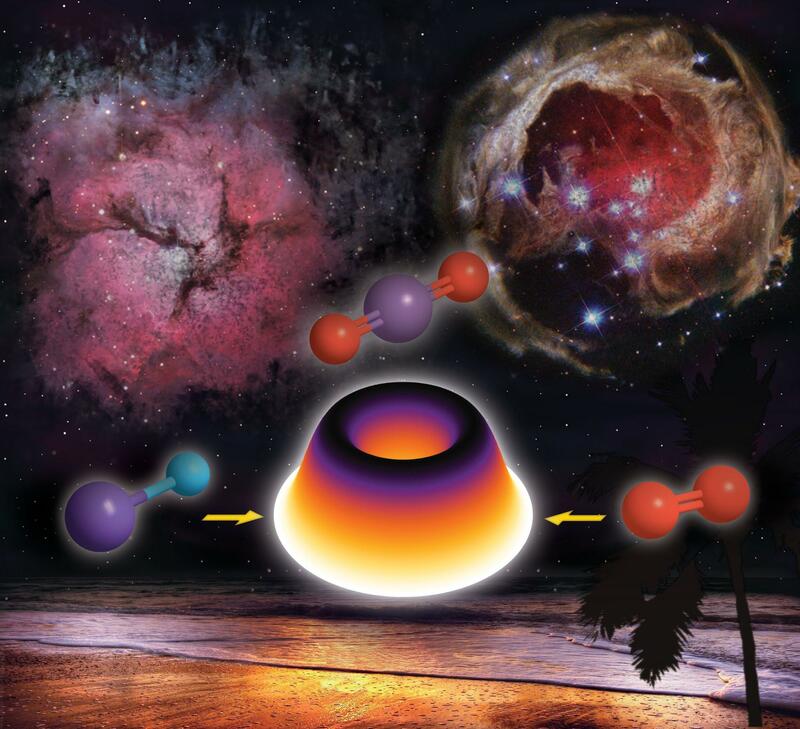 We demonstrated that silicon dioxide (SiO2) along with silicon monoxide (SiO) is synthesized under single collision conditions providing a low-temperature path to the formation and growth of silicates in the interstellar medium. Third, we expanded the investigation of the chemical dynamics of silicon-bearing molecules holding unusual chemical bonding by conducting crossed molecular beam reactions of ground state atomic carbon (C(3P)) and silicon (Si(3P)) with silane (SiH4) and disilane. In the silicon – silane system, the hitherto elusive disilavinylidene (H2SiSi) molecule, which is in equilibrium with the mono-bridged (Si(H)SiH) and di-bridged (Si(H2)Si) isomers, was formed. The reaction involves fascinating dynamics via an initial formation of a van der Waals complex in the entrance channel, a submerged barrier to insertion, intersystem crossing from the triplet to the singlet manifold, and hydrogen migrations. These studies provide a rare glimpse at the largely obscure silicon chemistry on the molecular level and shed light on the remarkable non-adiabatic reaction dynamics of silicon, which are quite distinct from those of isovalent carbon system (C(3Pj)–CH4), which shows no reaction under analogous experimental conditions. 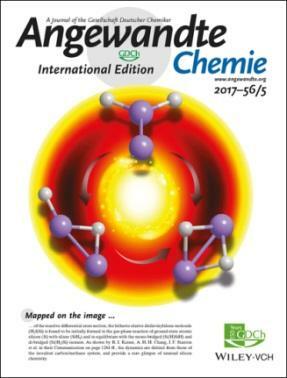 This provides important insight revealing an exotic silicon chemistry to disilavinylidene on the most fundamental, microscopic level. Non-adiabatic reaction dynamics via molecular hydrogen loss were also unraveled for the silicon – disilane system; the cyclic/hydrogen-bridged Si3H4 product(s) underline(s) extensive isomerization from the initial collision complex(es). Finally, we investigated the reaction dynamics of the phenyl radical (C6H5; X2A1) with silane (SiH4) under single collision conditions revealing the formation of phenylsilane (C6H5SiH3) plus atomic hydrogen (H) via direct scattering dynamics through a transition state involving a simultaneous silicon-carbon bond formation and a silicon-hydrogen bond rupture via a trigonal bipyramidal transition state (Fig. 5). Compared to the isovalent methane (CH4) – phenyl radical (C6H5) system, the replacement of a single carbon atom by silicon lowers the barrier to substitution by about 130 kJmol-1 thus making the substitution pathway in the silane – phenyl system competitive with the hydrogen abstraction channel than in the methane – phenyl system, which only shows an abstraction to benzene (C6H6) plus methyl (CH3). Therefore, reactions with silicon-bearing species proposed here shed light on an unexplored silicon chemistry and hitherto unobserved chemical dynamics providing fundamental insights into novel reaction mechanisms via radical substitution pathways through exotic transition states. Simplified potential energy surfaces for the reactions of the phenyl radical with silane (right) and methane (left). Atoms are color coded in gray (carbon), white (hydrogen), and purple (silcon). Image of the crossed molecular beams machine. The electronic structure calculations are conducted in collaboration with Profs. Alexander M. Mebel (Florida International University), Agnes Chang (National Dong Hwa University, Taiwan), John Stanton (University of Florida), and Martin Head-Gordon (UC Berkeley).